Inspired by the drinks that R2-D2 serves on Jabba the Hutt’s sail barge, this cocktail is easy to make up in large batches and pre-chill, making it particularly good to share with friends if you’re having a Star Wars viewing party today. Mix together in a bottle and chill in the fridge, pour into small shot glasses to serve. Smooth and creamy, with a subtle, but pleasant hint of melon; it tastes a little like a melon milkshake. The rum comes through on the finish, along with a herbal chocolate note courtesy of the bitters. Leafy and herbaceous, and reflective of the forest, this is a variation on Jörg Meyer’s cocktail from 2008, the Basil Smash. Bright, fresh scents of mint and rosemary on the nose. The flavour is light and dry, with a lovely note of green basil, rosemary, juniper, and the revitalising zing of fresh lemon juice. There’s even a tiny hint of fennel at the end of the finish. Rustic and refreshing. This is perhaps the most famous phrase in the Galaxy, uttered by a variety of characters, humans and droid alike. The recipe for this may give a feeling of trepidation, but the results are delicious. This drink has a little over a double measure of alcohol per person, so enjoy sparingly. Notes from the cola are always at the centre of this, but other flavours creep in and out, including: warm spice and brown sugar, a fruity vanilla note, and a hint of sweet raisin. The finish is dry and woody, with additional wisps of the flavours of cocoa and tequila smoke. Surprisingly smooth; this one may charm you. Where we learn that you should NEVER come out of hyperspace early and things get a bit chilly, especially for Han Solo. Home of the Rebel base is the planet of snow and ice, Hoth. You’ll want a blanket whilst you drink this one. Combine ingredients in a mixing glass and stir without ice, then carefully pour over a glass full of crushed ice. 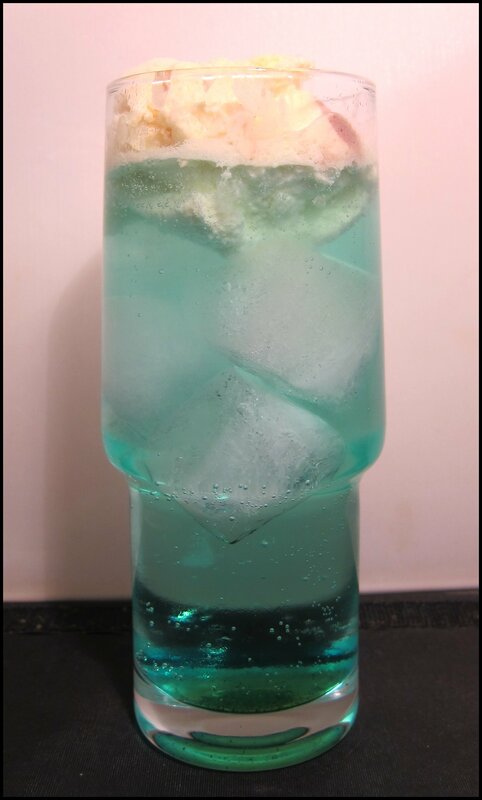 Exceptionally – almost uncomfortably – cold, the vodka in this cocktail takes on a lovely viscosity, whilst the Creme de Menthe quickly makes itself known with striking notes of spearmint and peppermint. Pleasant, faint echos of the mint continue on the finish, along with hints of the underlying vodka. Another planet that we see for the first time in Episode V is Dagobah, a swamp planet populated largely with indigenous wildlife. The film’s atmospheric scenes make it a great inspiration for cocktails. Line a glass with the cucumber peel and fill with ice, before adding the gin and juice (it works better if they have already been mixed). 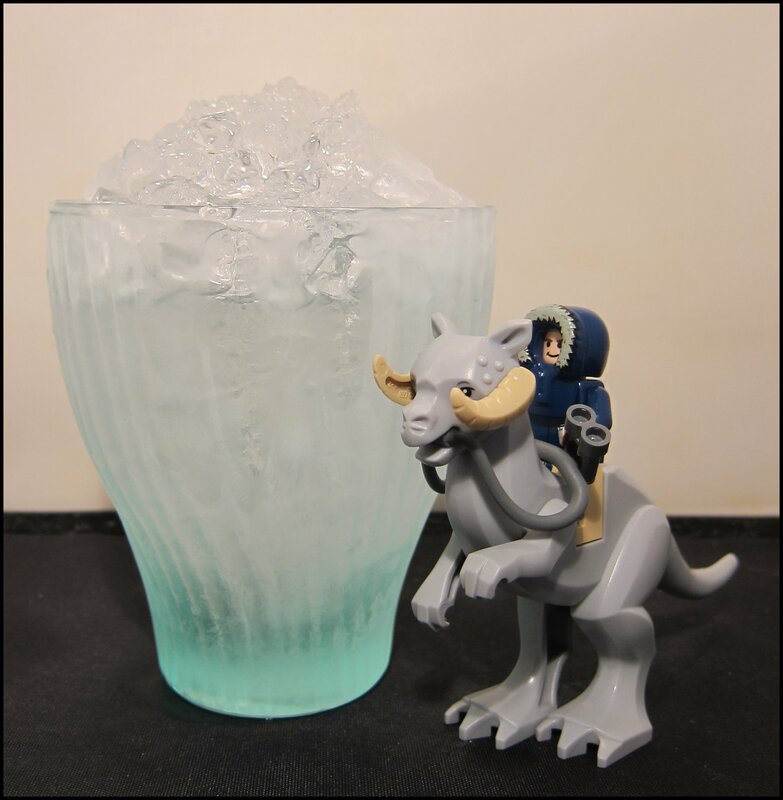 Add ice and carefully pour the Midori down the side of the glass to create the “Midori sink”. This drink is smooth and fruity to start, with a hint of sweet melon giving the apple juice an unexpected, slightly alien flavour. The cucumber garnish adds aroma, as well as a wonderfully atmospheric feel that there’s foliage (or some kind of creeping vine) in your drink – this one really matches its on-screen scenes well. Finally, the gin contributes a delicious, herbal complexity as the apple notes fade, and this builds with every sip. 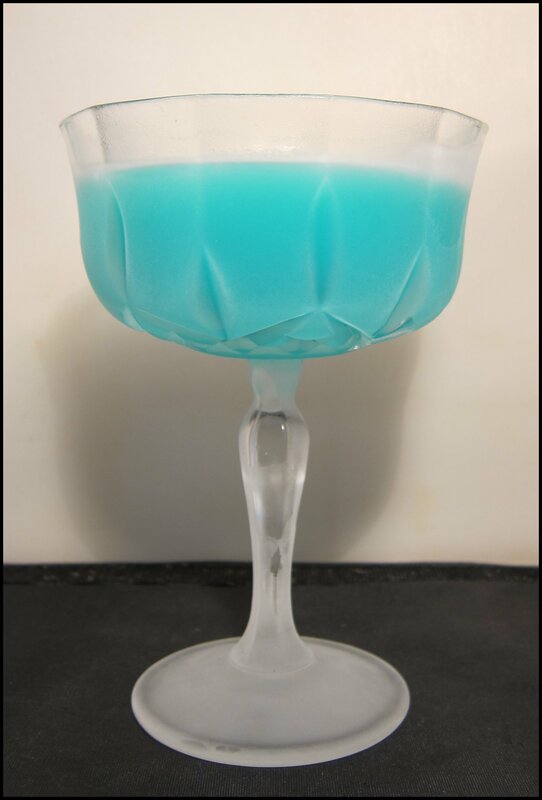 This is definitely Mrs. B’s favourite from the cocktails for Episode V.
The gas giant of Bespin is home to the floating mining colony of Cloud City. In addition to its purpose as a base to mine Tibanna gas, it was also a tourist attraction; imagine sipping one of these in one of its casinos. Shake with ice and strain into a chilled glass. Exceptionally smooth, with the creamy froth from the egg white adding even more silkiness. The underlying cocktail has a welcome tartness to it, with an array of vibrant, revitalising citrus notes: first fresh orange, then more zesty lemon. A clean and refreshing drink. Where we learn you can command the deadliest weapon in the galaxy in your slippers and that exhaust vents do not make the best architectural features. What is that weird blue stuff that Luke drinks with Aunt Beru and Uncle Owen? 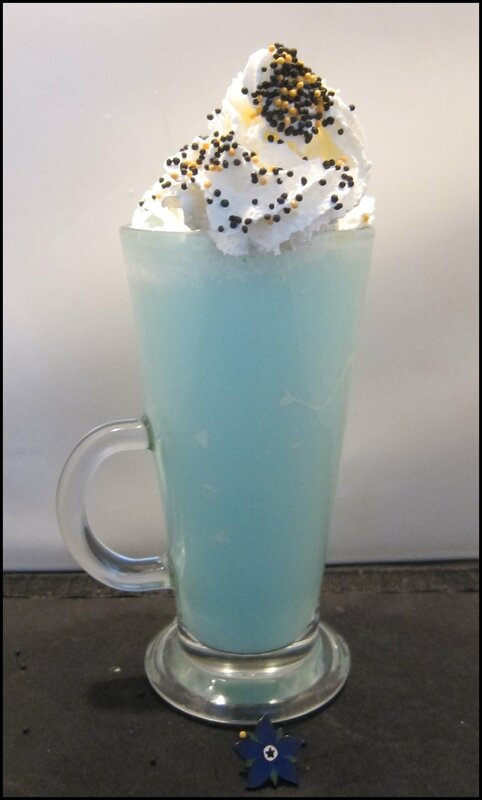 It’s bantha milk (banthas are those buffalo-like creatures that the Tusken Raiders/Sand People ride on); oh and it’s blue! Shake ingredients with ice, then pour into a tall, ice-filled glass. Top with whipped cream. Understandably milky, but still lightweight in texture, this cocktail has a gentle sweetness at the start, boosted by a light note from the rum, which takes on a chocolate-like flavour (much like the chocolate filling you get sandwiched between biscuits like bourbons). The whipped cream adds a touch of luxury and a real dessert quality. The finish is clean and dry, ensuring that it continues to be easy to sip. Peter Cushing already had a great deal of experience with monsters by the time he played the ruthless Grand Moff Wilhuff Tarkin aboard the Death Star in Episode IV. This cocktail, in honour of the gentleman and the actor, is made from completely vegetarian ingredients (he was a patron of the Vegetarian Society). Smooth, but complex, with notes of juniper, coriander, and a light note of black pepper that integrate well with herbal notes and a gentle warmth from the ginger wine. The flavour develops more as you sip, with the ginger building and lasting, and adding a delicate and not overwhelming sweetness. Equally, the finish builds with notes from the gin, including a greener, herbal juniper flavour. Sophisticated and delicious. The Skywalker homeworld is in the Tatoo binary star system in the Outer Rim Territories. The system’s two suns – Tatoo I and Tatoo II – appear in a poignant scene during which one of Star Wars’ great musical themes is played: Binary Sunset’. 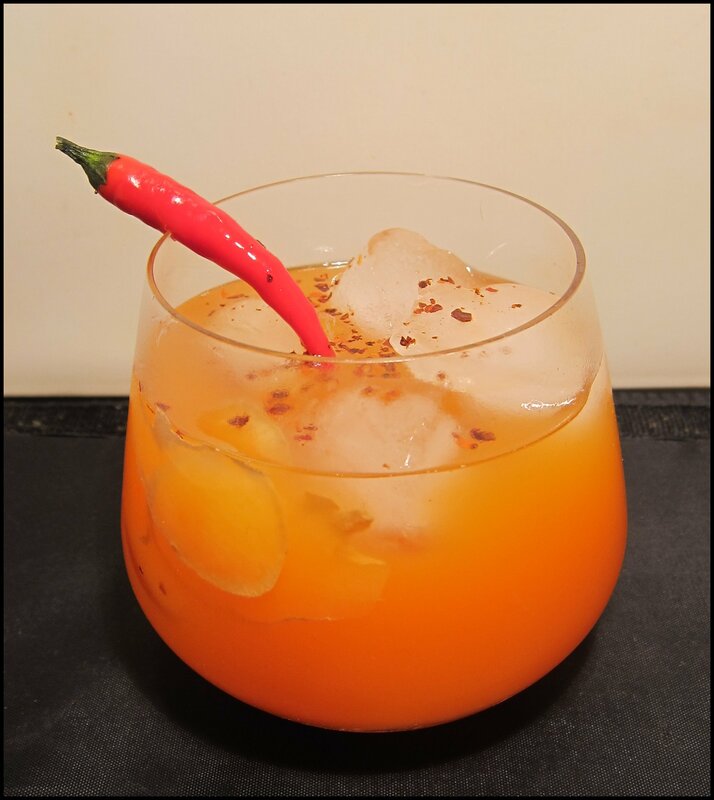 This bi-glass drink is an adaptation of the two Tequila Sunrise cocktails from Dale DeGroff’s excellent book, ‘The Essential Cocktail’. Combine ingredients in a glass with ice and then slowly pour in the grenadine. Smoky mezcal on the nose, which immediately continues onto the palate, before a flash of sweet red berries, then fresh orange juice. The mezcal then returns, starting out strong – almost like charred meat in its level of smokiness – and gradually softening to a fruity smokiness, like chargrilled pineapple. Combine ingredients in a glass with ice and then slowly pour in the Creme de Cassis and Grenadine. Sharp and revitalising. Tart lemon notes at the start are almost sherbet-like in texture – very reminiscent, actually, of a lemon sherbet sweet. The tequila then appears, gradually building on the finish, where it mingles with the lemon notes and more tangy notes, this time blackcurrant notes from the Creme de Cassis. Coming this week is 4th May or, in America, May 4th (as in “May the 4th Be With You”), which makes it Star Wars Day. 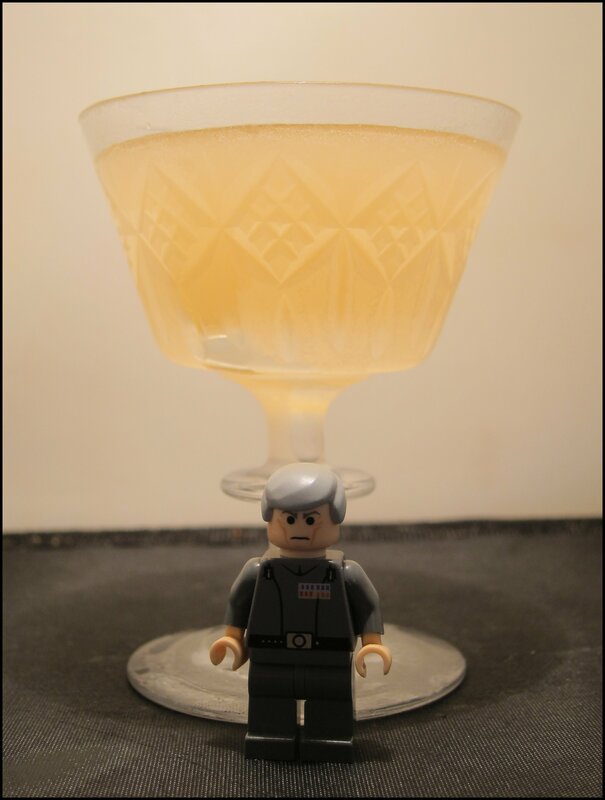 As such, I am creating some companion cocktails for each of the seven films. Today, we’re watching/drinking to Episode III. In Episode III, we are taken to the Wookiees’ homeworld of Kashyyyk. 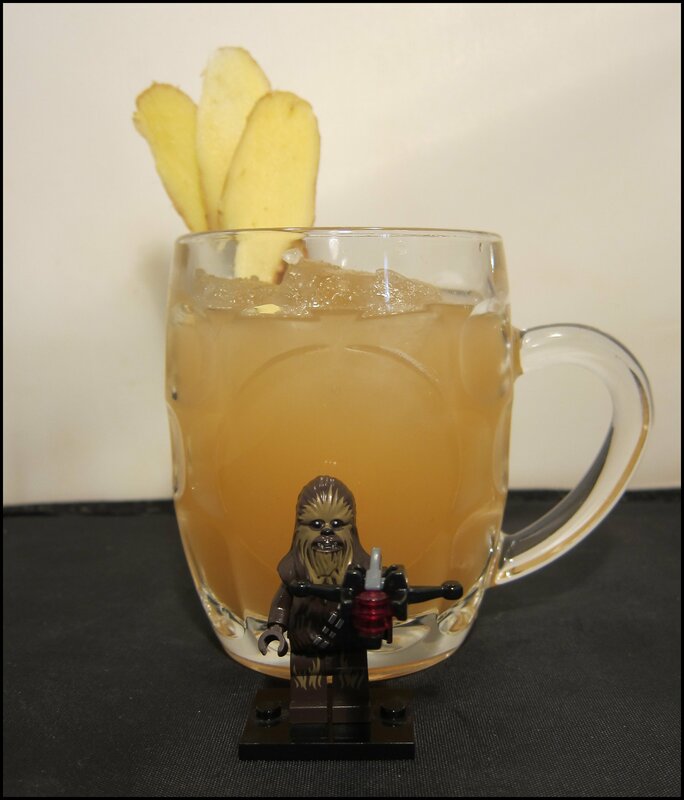 This cocktail was inspired by the mighty, feisty, and loyal Wookiees and their forest-covered planet. Add to ingredients to an ice filled glass and stir. Garnish with three fanned slices of ginger root. *Infuse 50ml of brandy with 1 tsp of oats and 1/2 tsp of grated ginger root for 5 mins. Strain before using. Dry ginger on the nose, then a delicious, smooth, lightweight fruitiness: it has an almost tropical, but not too sweet flavour, reminiscent of coconut water. This fades to a more creamy, tart flavour of cloudy apple juice and a softness from the oats. The warmth of ginger and woody cinnamon increase on the finish, leaving me craving apple crumble. From Senator to Supreme Chancellor to Emperor, Palpatine is the Francis Urquhart/Underwood of the Galaxy. This drink is a variation on the Emperor Cocktail (with Unicum) from the excellent Kindred Cocktails. Stir with ice and strain into a cocktail glass. Garnish with an orange twist. From the moment you bring the glass towards you, there is a strong nose of orange and sweet red fruit. The initial taste has a smooth, regal nature to it, full of silky flavours from the red vermouth, but the palate is quickly absorbed by a rich bitterness from the Campari, highlighted by hints of bitter orange. A perfect fit for this cocktail’s namesake. For the final cocktail of Episode III, we take some inspiration from the fiery, Outer Rim planet of Mustafar. Add to an iced glass and gently stir. Garnish with chilli flakes and a small red chilli. Rich, warm, genuine notes of chilli, swiftly followed by creamy, savoury notes of carrot and then the fresher, brighter notes of orange juice; neither of the latter are too strong, though, so it stays both savoury (and slightly reminiscent of soup) and refreshing. The chilli returns on the finish, along with a hint of charred smokiness. A delicious twist on a Bloody Mary that works extremely – if surprisingly – well. Coming this week is 4th May or, in America, May 4th (as in “May the 4th Be With You”), which makes it Star Wars Day. As such, I am creating some companion cocktails for each of the seven films. Today, we’re watching/drinking to Episode II. In which we see: the beginnings of the stormtrooper, a galactic colosseum, and possibly the worst on-screen chemistry of any cinematic couple. 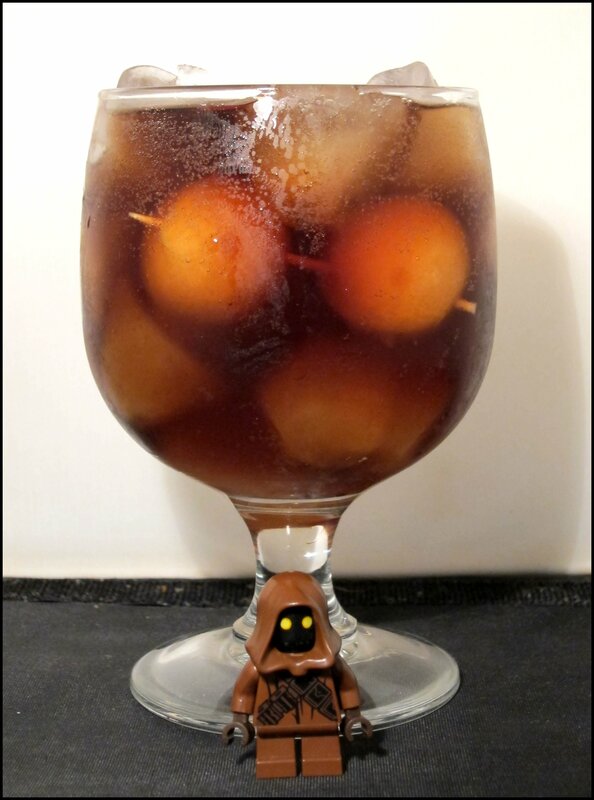 The Jawas – those rapscallions from the desert planet, Tatooine – appear in a number of the Star Wars films, but with so much inspiration for drinks in Episode IV, I’ve fitted them in here. 30ml Coffee vodka (or a 50/50 mix of cold coffee and vodka), 90ml Cola. Add ingredients to an ice-filled glass and garnish with two honeydew melon balls. Smooth, slightly sweet and herbal cola flavours are lifted by lovely notes of black coffee, dark chocolate, and sweet vanilla wafers. 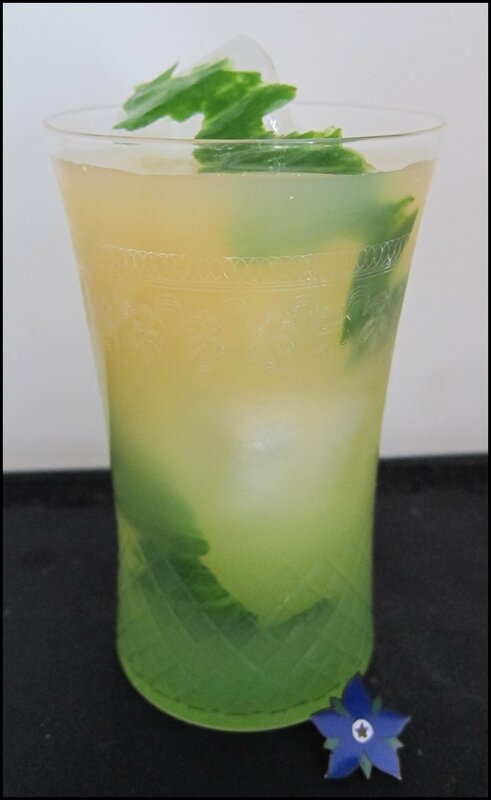 On the finish, the light fruitiness of the honeydew comes through, nicely complemented by the other flavours and making the drink a refreshing cooler. Add the vodka and curacao to the glass, top up with cream soda and then add a dollop of vanilla ice cream. The creamy vanilla of the cream soda is strong at the outset, then gradually fades to a zingy, refreshing note of sherbet-like citrus. Very tasty and the perfect colour to accompany the tranquil, then stormy scenes on Kamino. Portrayed by the wonderful Sir Christopher Lee, Count Dooku is a character that I don’t think we get to see enough of. 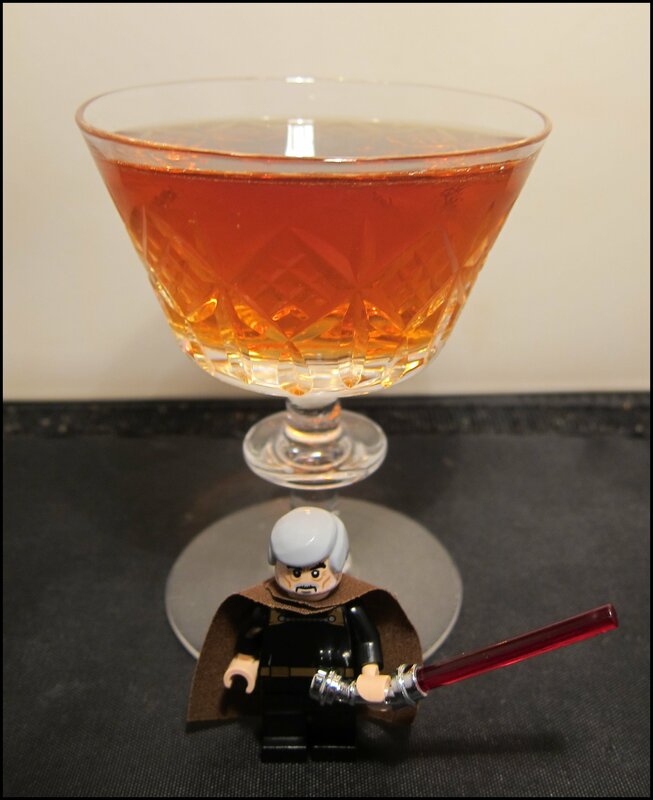 This drink has a slightly red colour – a nod to Dooku’s lightsaber – and the Italian vermouth is a reflection of Lee’s Italian heritage. Add ingredients to a mixing glass and stir with ice; strain into a Martini glass. This is a complex, herbal, and bitter cocktail that would make a great aperitif. It starts with dry notes of cola, red currants, and cherry, with a gradually increasing herbal bitterness somewhat reminiscent of a Negroni. After a few sips, however, it takes on more of a creamy, bourbon character. The finish is of smooth vanilla oak, but it nonetheless keeps its refreshing, bitter edge. One week from now is 4th May or, in America, May 4th (as in “May the 4th Be With You”), which makes it Star Wars Day. As such, I am creating some companion cocktails for each of the seven films. In which a young Darth Vader races through the desert, some robots fight swamp creatures, and we see a double-bladed lightsaber. 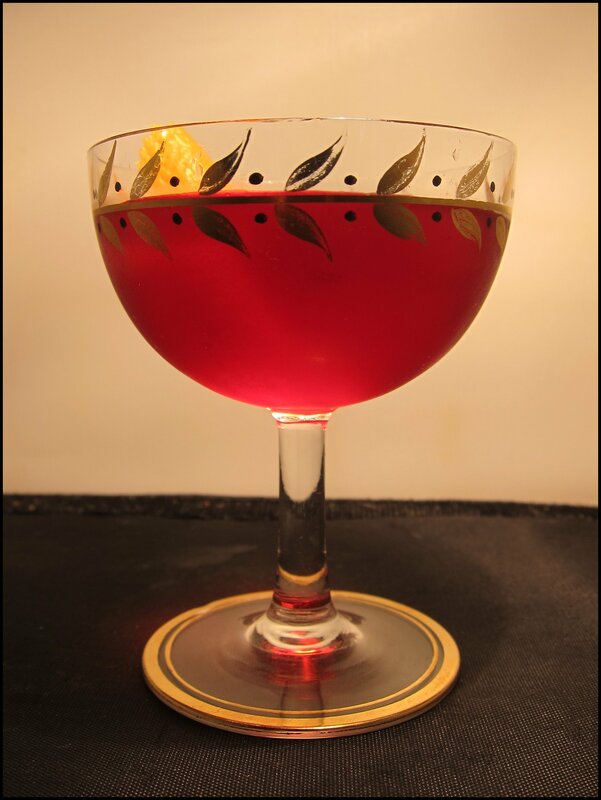 This cocktail takes its regal inspiration from the tipple enjoyed by both Queen Elizabeth and the late Queen Mother; gin & Dubonnet, which has been lengthened with Champagne in the style of a Kir Royale. This has a wonderfully savoury, herbal nose. Rich, warm berry notes are quickly followed by an unexpected, but pleasant note of basil, which develops into a more complex array of herbal flavours. This fades into more savoury notes from the gin – a little pine and tart berry – accompanied by the revitalising dryness of the Champagne. For this cocktail, I wanted to reflect the colourful, exotic scenes of Tatooine’s podrace. As a punch, it’s also easy to scale up and share with a group of friends (or fellow spectators). 30ml Rum (I used Golden Rum), 10ml Lime Juice, 10ml Sugar Syrup, 30ml Pineapple Syrup Mix ingredients in a shaker, pour into a glass with ice and top up with a splash (10ml) of ginger beer. Thirst-quenching, light, and comforting, this has a great note of spice at the start, followed by notes from the rum and a hint of fruity cola. What’s particularly nice about it is that it’s neither too sweet, nor too bitter. The fresh sweetness from the pineapple juice comes through increasingly on the finish, along with richer notes from the rum and a light, warm spiciness. 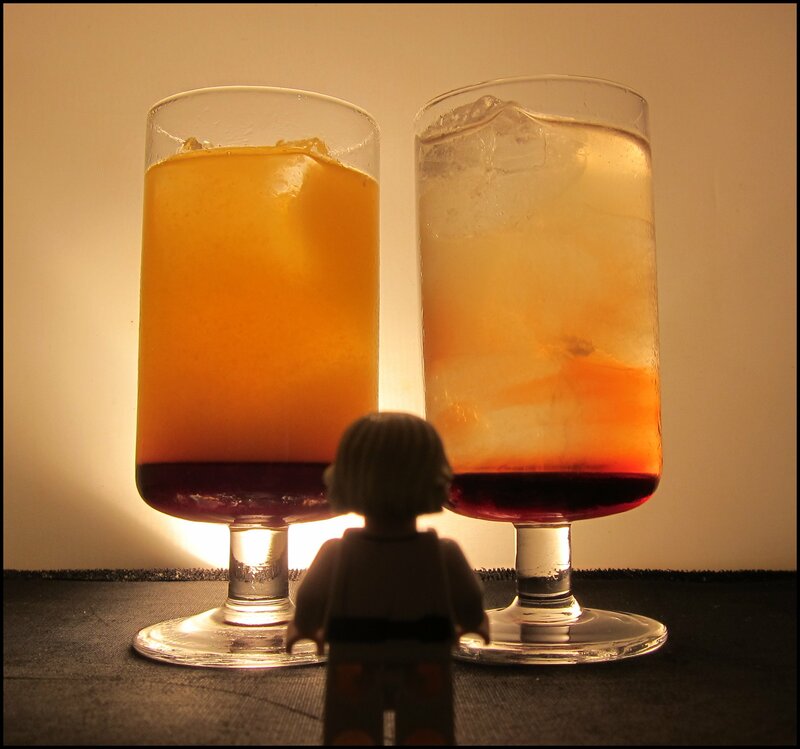 These three mini cocktails, inspired by Episode I’s lightsaber battle, work surprisingly well when drunk together – taking a sip from each highlights strengths and flavours in each. For each, add the liqueur to the glass and top up with Champagne. The green cocktail is vibrant, bubbly, and full of fruit notes; there’s a flash of sweetness at the start, before a more confectionery flavour of melon gradually builds. The Champagne adds a lovely dryness to the finish, although the melon notes linger for a while in the background, taking on a more bubblegum type of character. The green cocktail is complemented well by its blue counterpart, which is more dry and has an array of complex citrus notes, including hints of marmalade and dried fruit. Again, the wine adds a refreshing dryness to the finish. In stark contrast to both of the above, the red cocktail is full of bitter, earthy notes, which nonetheless works surprisingly well alongside them. The light, fruity sweetness of the wine also comes through more strongly, balancing out those bitter Campari notes on the finish.